Informed by some of the latest work and research from innovators who are rethinking the traditional school model, the Digital Convergence Framework was recently expanded to include the Community Driver. The Success Indicators within the Community Driver of the Digital Convergence Framework provide a blueprint for us as leaders to a) expand stakeholder engagement in the future of learning, and b) reach beyond the physical classroom to deliver modern, real-world competencies — connecting each student's unique skills and interests with opportunities to be successful in the workforce. Q1: Have you defined a Portrait of a Graduate (PoG) and updated the skills students need to be successful post-graduation? What skills did your community define? I find that people often mistake a PoG and learner profile. LP defines the teaching inputs: Instructional strategies, interests, Academic readiness, language, culture. PoG defines the output: what skills, knowledge and ability do we want kids leaving the system with. Q2: If you have a Portrait of a Graduate, how has it impacted shifts in instruction and student experiences? Q3: How are you thinking about (or are you currently) assessing and identifying student strengths & interests? Q4: Do you feel that identifying strengths & interests is important for student success? How does or would this information benefit students and teachers? Q5: In what ways do students in your district currently expand their networks to connect within your local community? How can we as leaders foster these connections and create opportunities for real-world experiences? Creating visions for the Modern Learning classroom. In deep discussion regarding what society’s global ask is versus what the Little Fall community’s ask is. Creating a vision statement for the Modern Learning environment. J.O. 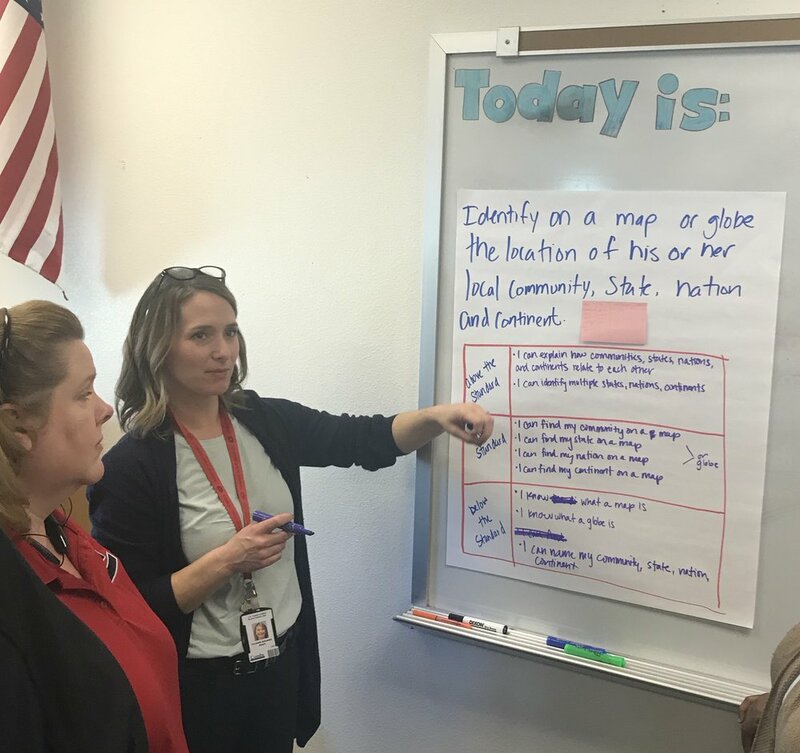 Combs Unified School District in San Tan Valley, Arizona, has been selected as the NCDC2020 National Showcase District. The JO Combs Digital Convergence Steering Committee is comprised of district and school based leadership. Together, they have personalized Digital Convergence, branded #Forward, to meet the needs of their growing community of stakeholders. All teachers in JO Combs Unified began their professional learning journey in May of 2018 by growing their awareness and understanding of Nurturing Combs classrooms to sustain a learning environment that encourages students to change, grow, and improve through taking risks in learning. This professional learning goal is aligned to the first component of their Instructional Model - Nurturing Culture. The focus on creating a learner centered culture, procedures to support this culture, and the adaptation of their physical learning environments to support this vision set the stage for classroom practice to be impacted, teachers were ready and prepared with the knowledge necessary to make changes. Now, teachers are focusing on turning that awareness into practice by implementing these concepts into classroom practice. Developing “I can” statements starts with determining what students are able to do at the level of the standard. The district’s innovative approach to Professional Learning to create a workforce proficient in the modern learning environment, and their formative approach to the Digital Convergence methodology is indeed #Forward thinking. J.O. Combs administration, teaching staff, and students invite you to then for the pre-conference visit to J.O. Combs Unified the day before the 2020 National Conference on Digital Convergence held in Phoenix, Arizona on February 3, 2020. Kershaw County School District is a twenty-school public school district serving over 10,000 students and 1,200 faculty in Kershaw County, South Carolina. The district, led by Superintendent Dr. Shane Robbins, is one of Modern Teacher’s newest National Network members that has joined the movement to modernize learning at scale and deliver to our students the competencies they need to thrive.